This article originally appeared in BloomZine 11/18/2013. As a dietitian, one of the suggestions I often offer my clients, friends and family who are interested in changing habits to eat healthier is to establish a few quick and easy, fulfilling yet healthy snacks. These healthy choices are your allies; have them on hand at all times. They are so important in maintaining a healthy diet because they are the ones that are there for you when you are at your weak points. When you just get home from work, starving, and haven’t even considered what’s for dinner. Having a fallback comfort snack that is actually good for you gets you through that rabid low blood sugar hunger to a point where you can actually think about the food choices you want to make. They need to be something desirable so that when you’re in the I-don’t-care-what-it-is-I-need-calories state of mind, you actually go for them. They’re a detail in the grand scheme of a healthy lifestyle, but especially for those transitioning to a healthier way of eating, an essential one.A few examples of what might constitute an emergency snack food are chunks of energy, apples with nut butter, or herbal bites, the recipe I’d like to share with you today. I learned how to make herbal bites in my Family Herbalist Classes at the scintillating Florida School of Holistic Living in Orlando. 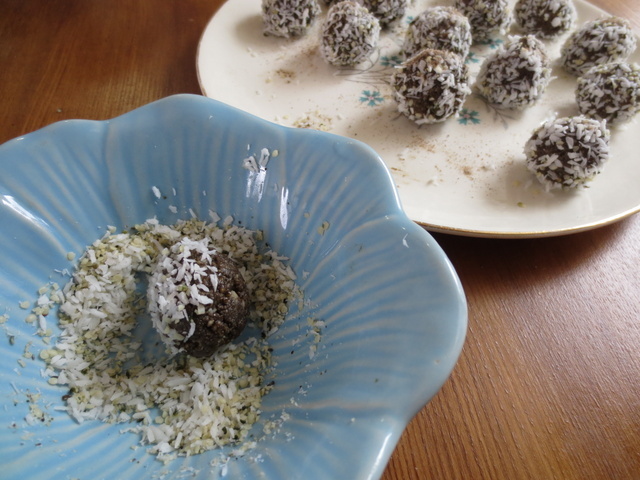 Originally dreamt up by herbalist, Rosemary Gladstar, as zoom balls which included eleuthero, guarana and kola for an energy boost, herbal bites require the same method but are open to whatever herbs you feel your body wants and needs. 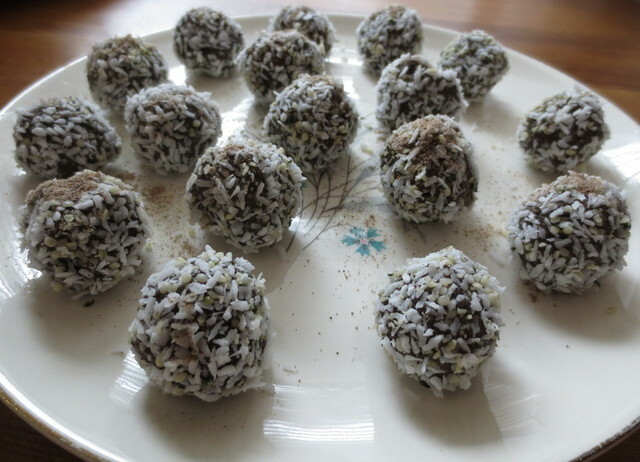 For example, they were shared with me as ninja balls: a tasty treat filled with adaptogenic stress-fighting herbs. 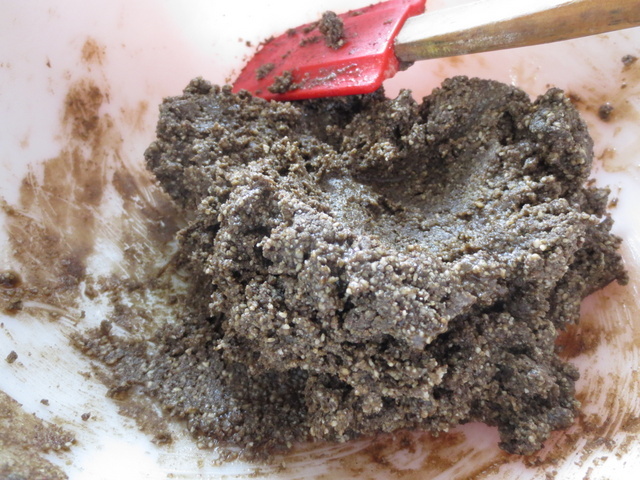 I love this recipe because not only is it a great tool to help us make better food choices, but it supplies a tasty way to get in some of those not-so-pleasant-tasting herbs. 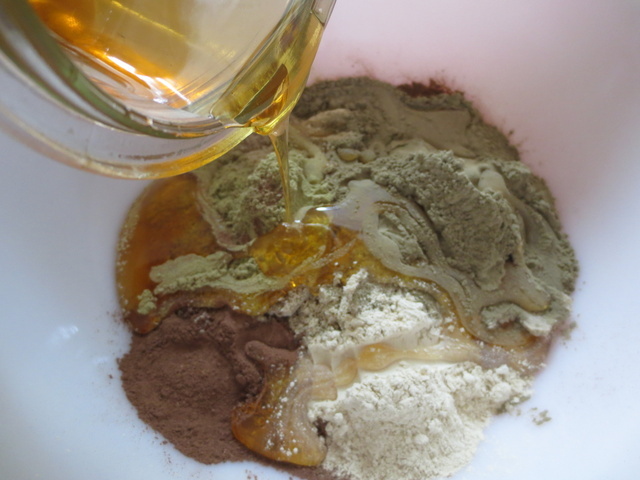 There are three basic components to the recipe: nut butter, local raw honey and powdered herbs and spices. I highly recommend seeking out a local apiary or beekeeper because there really is no substitute for local raw honey. Because the bees use the nectar of plants in the area, local honey can act almost as a vaccine does, with a tiny bit of the irritant, for soothing seasonal allergies. It is also full of antioxidants and possesses disinfectant, antifungal, anticarcinogenic and anti-inflammatory properties (Buhner, 189). With the decline in worldwide bees, we also need to do what we can to support our hard-working friends locally, bees and beekeepers, alike. In the same regard, sourcing herbs locally by growing an herb garden or supporting someone in your neighborhood who does yields fresher, more potent herbs and also reduces our impact on the environment. With these sentiments in mind… the recipe.